Florida Highway Patrol Master Sergeant Daniel Hinton suffered cardiac arrest during a training exercise. Image courtesy of Florida Highway Patrol Training Academy / Facebook. An officer in Florida suffered a fatal heart attack during a training exercise on Tuesday. 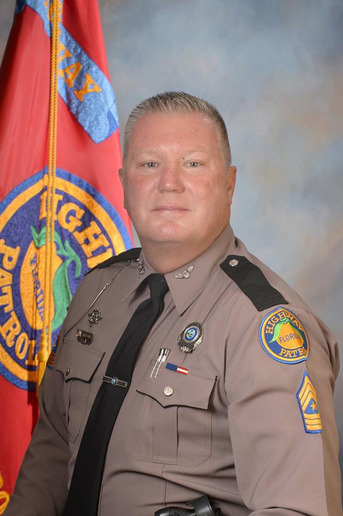 The Florida Highway Patrol Training Academy posted on Facebook, "It is with great sadness that we inform you of the passing of Master Sergeant Daniel Hinton. Master Sergeant Hinton suffered cardiac arrest during a training exercise and was transported to Gulf Coast Hospital where he later passed away." Hinton served 32 years with the Florida Highway Patrol. He was stationed in Troop J, where he served with the Office of Commercial Vehicle Enforcement. The academy said further, "We are mourning the loss of one our own and remember Master Sergeant Hinton as an extraordinary individual who always showed his heroism during his 32 years with FHP. Please keep the Hinton family and our FHP family in your prayers." Hinton is survived by his wife, children, and grandchildren.